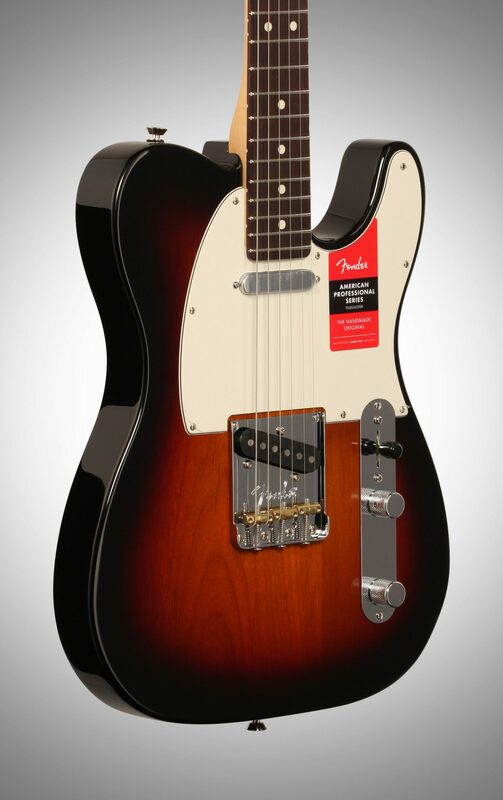 Fender is guided by one clear, simple directive: make life better for musicians. 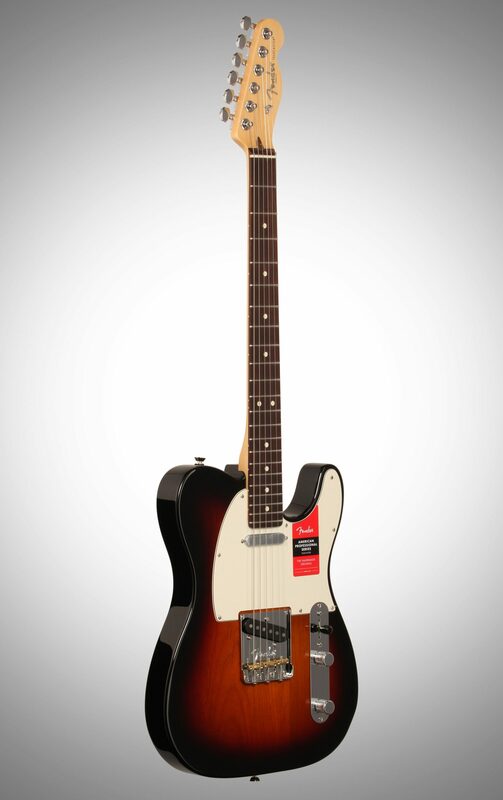 While the original Telecaster certainly did that (and then some), we weren't content to rest on our laurels. Our team of mad scientists examined every component in near-microscopic detail. If we were able to improve it with a new design or modern materials we did; if it didn't need improvement, we left it alone. 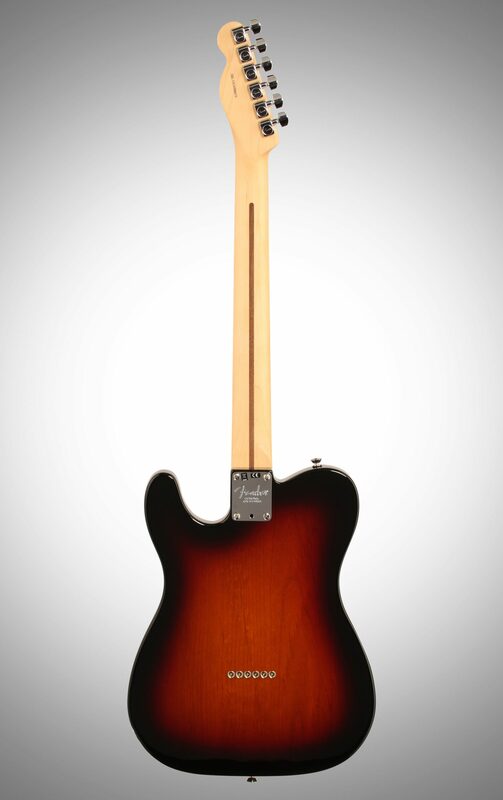 When the wood chips and solder fumes settled, what was left was the American Professional Telecaster--everything you need to play your best. Developed by vintage pickup master Tim Shaw, the brand-new V-Mod single-coil pickups are voiced specifically for each position, mixing alnico magnet types to produce powerful, nuanced tones with original Fender sonic DNA. The newly redesigned Telecaster bridge sports three compensated brass barrel saddles for the perfect combination of vintage style with modern feel and performance. Retain high end clarity when adjusting the volume controls, thanks to the new treble-bleed tone circuit that lets your tone shine through in all its glory. The new modern "Deep C"-shaped neck profile feels just right in your hand while the narrow-tall frets make it easy to bend strings accurately and play perfectly intoned chords.
" 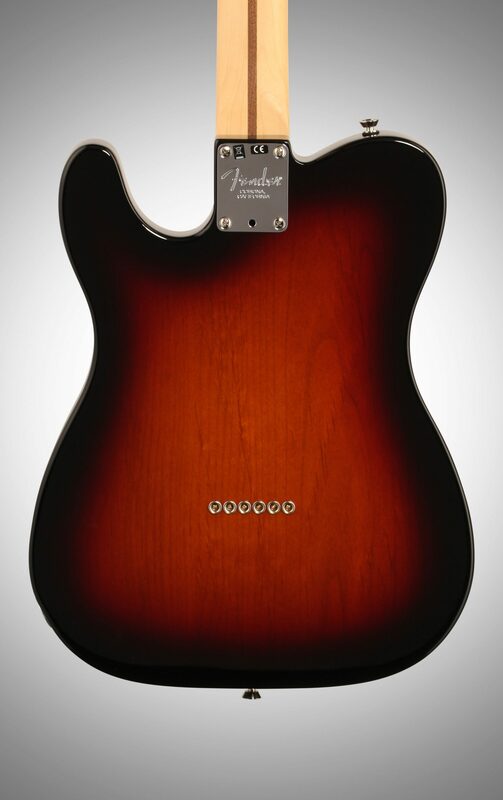 Fender American Pro Telecaster "
Sound: The Tim Shaw designed pickups and the treble-bleed tone circuit, though both new in design, create that perfectly nuanced, classic Tele tone.. 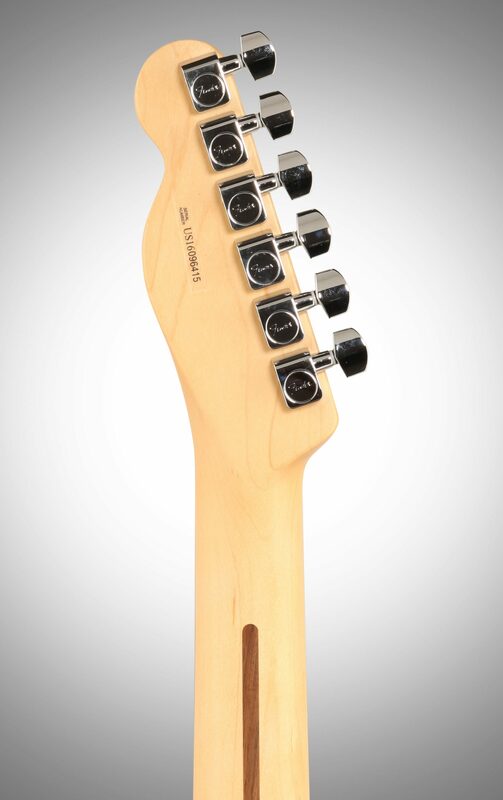 Feature: The new modern "Deep C"-shaped neck profile feel satin smooth on the back. It's not too thin nor too thick. It really seems to fit that perfect sweet spot. The narrow, tall frets do take a bit getting used to for me, I must admit, though. I would have preferred medium jumbo or jumbo, but I'm adjusting. The staggered tuning machines (also used on my 2016 Fender American Standard Stratocaster) are genius. Seems like a little touch, but like many features on the guitar, these little touches add up. Ease of Use: She feels like an ol' friend, right out of the case. Very comfortable to play. A real joy, in fact. Quality: You know you're in the big leagues when you take this one out of the case. She is one of the most well built guitars in my stable. Solid as the day is long. Flawless finish. Perfectly fretted. They don't get much better than this, kids! Value: She cost a bit, yes, but this is not just a guitar, it's an investment, as well. Take care of her and she will not only retain her value, she will increase in value over time. Though, I ain't selling mine anytime soon! Manufacturer Support: Not needed them for this nor any of my Fender products. The Wow Factor: The Olympic White finish is smooth and creamy looking and the Mint pickguard is very fresh. The three brass barrel saddles loaded in the bridge add to that cool, classic vibe. Very Wow, indeed! Overall: There is a reason the Telecaster is one of the most revered electric guitars of all time and has been used by countless numbers of some of the greatest guitarist of all time; Jimmy Page (most of the best known Led Zeppelin songs, including Stairway to Heaven were recorded on a Tele! ), James Burton, Danny Gatton, Don Rich, Steve Cropper...and a bunch of other folks you young kids ain't heard of before. She ain't too fancy looking, but she sure is pretty. She's so simple in her design and set up, yet can create some of the most complex tones around. She'll easily fit in with rock, rockabilly, jazz, blues, country, funk, soul, to you-name-it music. 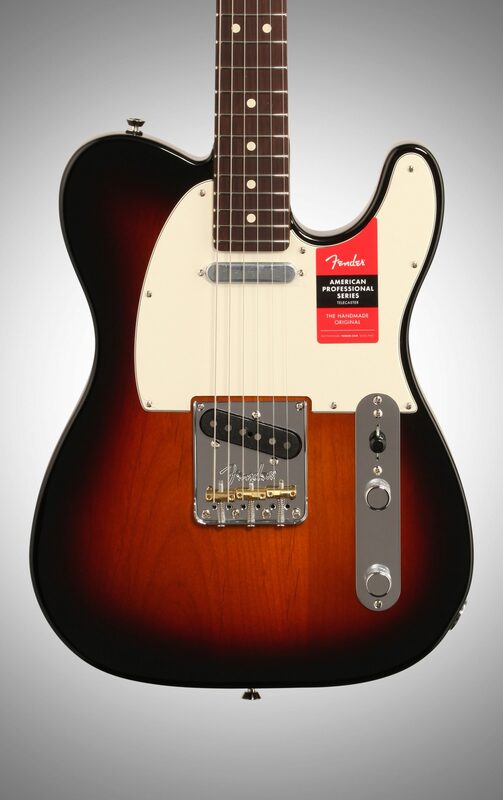 If you can only get one guitar, do yourself a favor and give a Telecaster a go. Style of Music: All kinds! Overall: I've always been a believer that it isn't necessary to spend egregious amounts of money to have great tone. I have bought guitar after guitar in the $500-$900 range, and have enjoyed them. But I noticed that I never was really satisfied with my sound, so I got rid of all of those mid range guitars and bought two new guitars instead. One was an American Professional Stratocaster. 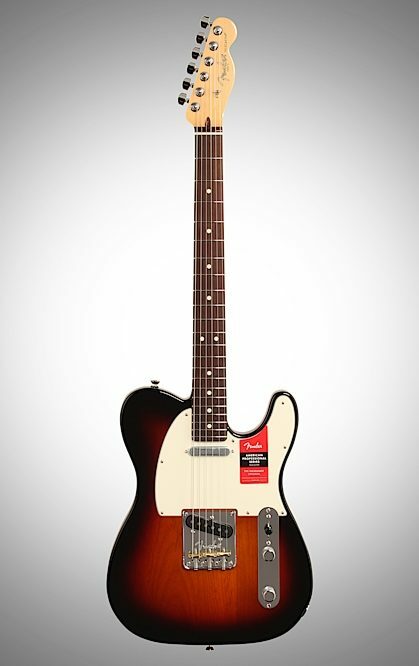 The other was the American Professional Telecaster. I have been absolutely BLOWN AWAY with the difference in quality. The neck is simply butter. 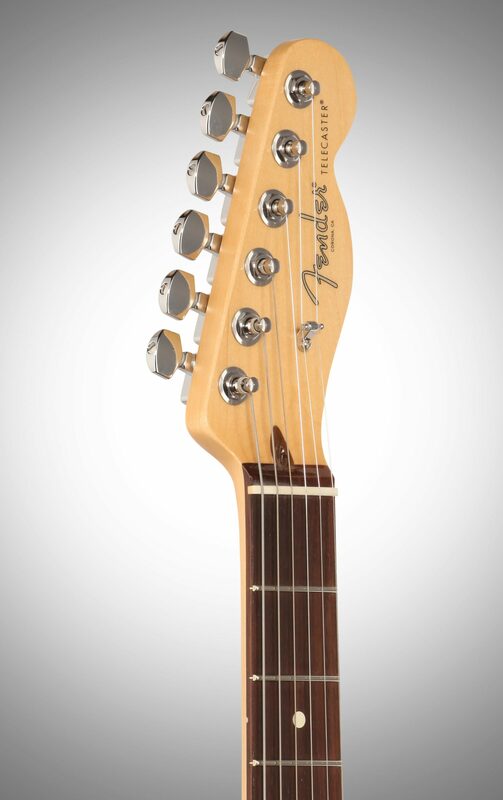 The satin finish is very smooth, the rosewood fretboard is nice and warm, and every note seems to pop off the neck. The v-mod pickups are outstanding, and it wasn't until after I had played on the neck pickup for over an hour and coaxed some of the hottest blues tones out of it that I found out that I'm not supposed to even like the tone. Oh well. I should have been informed prior. The bridge pickup is otherworldly and has a nice warmth and balance to it that I wasn't expecting. Tele bridge pickups are supposed to be shrill and painful. I had the tone knob rolled all the way open and it just seemed like it was a beautiful bright tone, no ice picks to be found. And the fit and finish to this thing! There is DEFINITELY a difference in the feel of this as opposed to a mid range guitar. The frets are nice and even, and it feels like I could play on this for hours without feeling fatigued. I stand corrected. It's not that you can't get good tone out of a mid range guitar, I'm sure you can. BUT... the satisfaction that comes with an American made guitar, the playability, the feel... oh it's just all too much! Save your cash and pick up this guy. The investment is WORTH IT.